The New Orleans famous Cafe Du Monde chain, is now under strict orthodox rabbinical supervision for its fried beignets (its main food item). 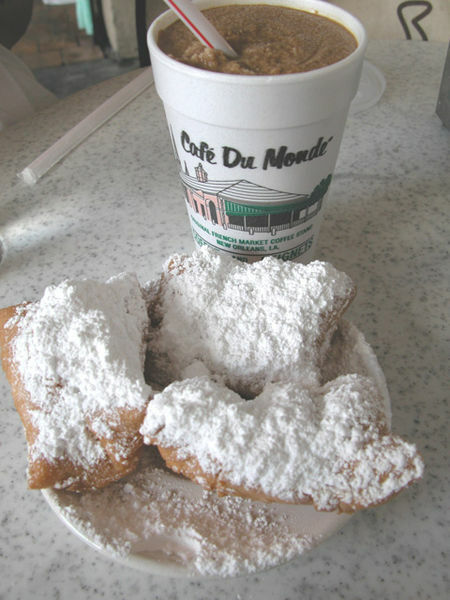 Beignets are a local delicacy and were brought to Louisiana by the Acadians (17th century French colonists). These were fried fritters, sometimes filled with fruit. Today, the beignet is a square piece of dough, fried and covered with powdered sugar. They are served in orders of three.